Before installing sod, the ground on which you will be installing the sod should be prepared accordingly for best results. There should be a minimum of 4″ (inches) of good soil in the area before sodding. Old grass should be removed or turned to ensure proper growth of new sod. Soil should be rota-tilled or new soil spread. The area should then be rolled to pack the soil and to level out the ground. All rocks, roots, sticks, or clumps of soil should be removed and the top two inches of soil should then be loosened in order for the roots of the new sod to establish in the ground. 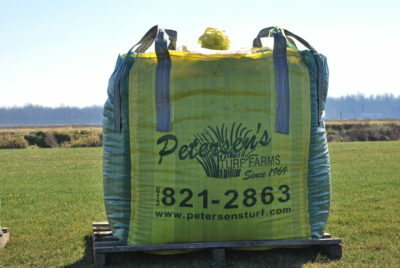 Sod should be installed within 12 hours of delivery or purchase. Installation should begin along the longest and straightest edge of the area. Sod should be laid in a brick-like fashion, staggering the joints (seams) avoiding any gaps or overlapping. A sharp knife may be used to trim the overlapped edges. To cut the sod and avoid overlapping edges you can use a sharp knife or an exacto-knife. The new sod should be rolled after installation to remove any air pockets.Watering should commence immediately and should continue everyday until the sod has rooted into the ground when watering can be gradually decreased. When watering, ensure that all the new grass receives a good amount of water. To measure this lift up a corner of a roll and ensure that the water has gone through the grass and has penetrated into the ground at least an inch. The hotter the weather the more water the grass will need. The best time to water is in the morning or in the evening. New grass should not be walked on very much for the first 2 weeks as the grassroots are establishing in the new soil. 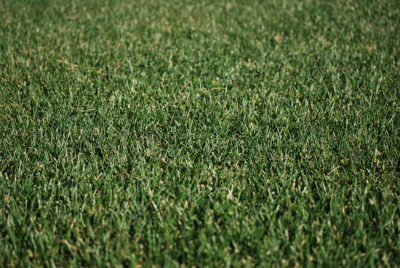 The first cutting of the newly laid sod should come 10 to 14 days after installation, when the sod has established roots and growth is apparent. The first cutting should be with the highest level on your mower, and following cuttings should gradually bring the height of cut to the desired level.